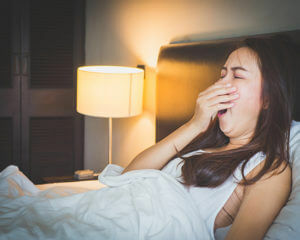 September 21, 2018 – Adults with varied sleep-wake times weigh more, have higher blood sugar and risk of disease, according to a new study from Duke and DCRI researchers. Sufficient sleep has been proven to help keep the body healthy and the mind sharp. But it’s not just an issue of logging at least seven hours of Z’s. In a study of 1,978 older adults published online Sept. 21 by the journal Scientific Reports, researchers at Duke Health and the DCRI found people with irregular sleep patterns weighed more, had higher blood sugar, higher blood pressure, and a higher projected risk of having a heart attack or stroke within 10 years than those who slept and woke at the same times every day. In addition to Lunsford-Avery and Navar, study authors include Matthew M. Engelhard and Scott H. Kollins.